About fifteen minutes ago I saw a picture of someone I used to know, and it was disgusting. To see a person grow up in a Christian family, then turn away from the God who created them, grieves me so much. Quite often the only thing you can do for them, is pray. 1 Thessalonians 5:16-18, "Rejoice always, 17 pray continually, 18 give thanks in all circumstances; for this is God’s will for you in Christ Jesus." Prayer is extremely powerful. I saw this quote that said, "Pray as if your life depended on it. It does." Are we praying sincerely for those we love? Are we praying sincerely for our enemies? (Matt 5:43-44 - "You have heard that it was said, 'Love your neighbor and hate your enemy. But I tell you: Love your enemies and pray for those who persecute you, that you may be sons of your Father in heaven. ")Are we praying sincerely to God? Or are we just praying during Church, when the pastor says, "let's pray"? 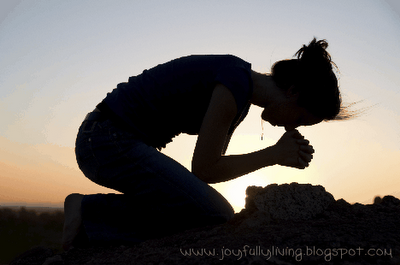 Are we praying because it's just the 'Christian thing to do'? Why do you pray? How often do you pray? WHO are you praying for? When we go to someone's house, and they aren't saved, are we ashamed to bow our heads before the meal? Are we ashamed when we go to a friends house, and they are saved, to bow our heads and thank God...even if they don't? Prayer is something that should be taken seriously. When praying we are speaking to a God who created us and loved us! We are casting our cares upon Him. We are asking Him for grace, for mercy. We are thanking Him for all He's given us. Psalm 5:3 - "My voice You shall hear in the morning, O LORD; in the morning I will direct my prayer to You, and I will look up." Are we praying through-out the day? When we pray is are we letting our thoughts wander? Luke 11:1-13 - "One day Jesus was praying in a certain place. When he finished, one of his disciples said to him, "Lord, teach us to pray, just as John taught his disciples." 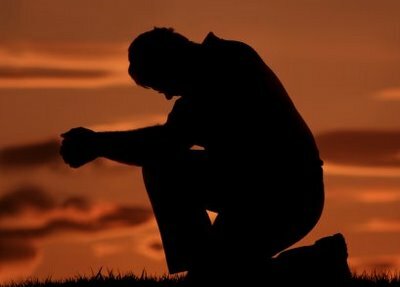 He said to them, "When you pray, say: "'Father, hallowed be your name, your kingdom come. Give us each day our daily bread. Forgive us our sins, for we also forgive everyone who sins against us. And lead us not into temptation.'"